What would you cook or bake with a bottle of rum? 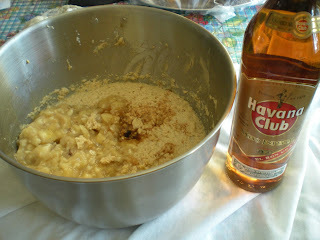 When my bro and I came back from our trip to Cuba, immediately we thought of making a rum cake. We were searching online for a rum cake recipe and we can tell you that finding a recipe made all from scratch was weirdly difficult. We were quite surprised that most of the online recipes are shortcut version which utilize packaged cake mix and instant pudding mix like the one on Allrecipes. I don't know about you, but for us, it doesn't feel right using premixed packages; it feels somewhat like cheating. I guess as an amateur baker, we are sort of obliged using basic ingredients for baking. 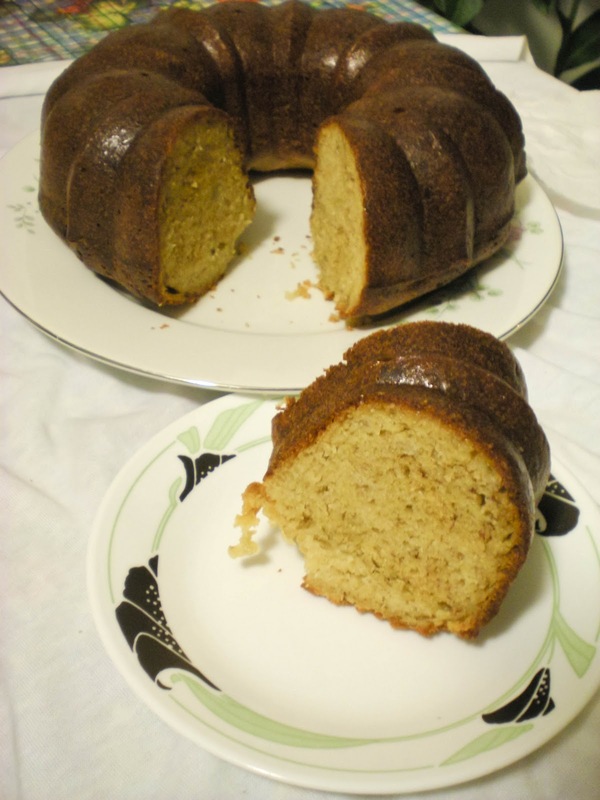 We finally manage to find a recipe from Southern Living which does not contain any premixes, but we did have to tweak it a lot according to what we have at our disposal. For instance, banana liqueur is one of these ingredients which will end at the top shelf of my pantry and never will be used again. Why not simply use ripe banana? 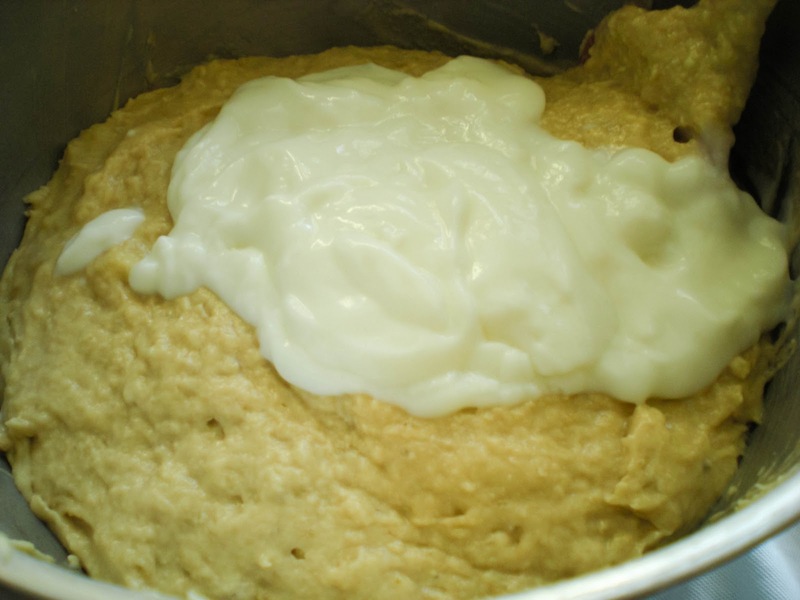 Also, to reduce the fat content, we substituted whipping cream for low-fat yoghurt. We were quite happy of the final results when we flipped the cake onto a plate. 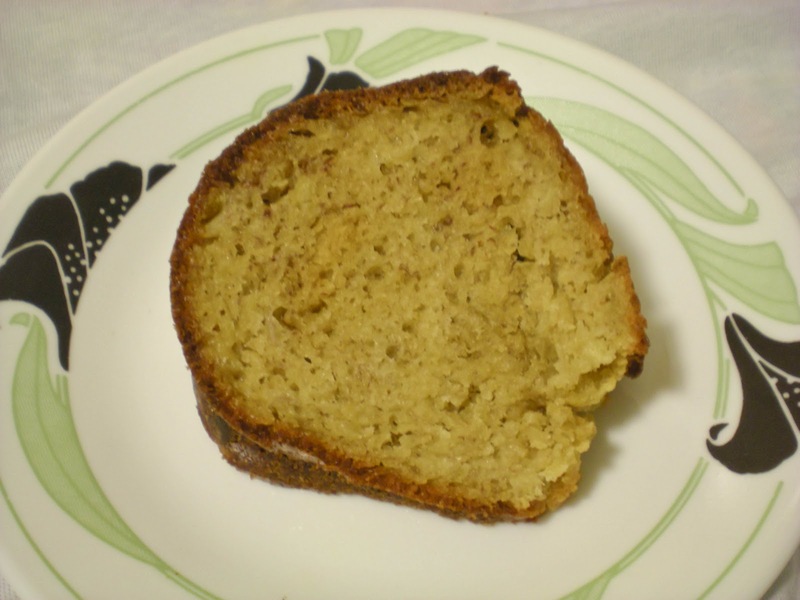 If you are big fan of banana bread, you will love this. The cake was very moist and flavorful. 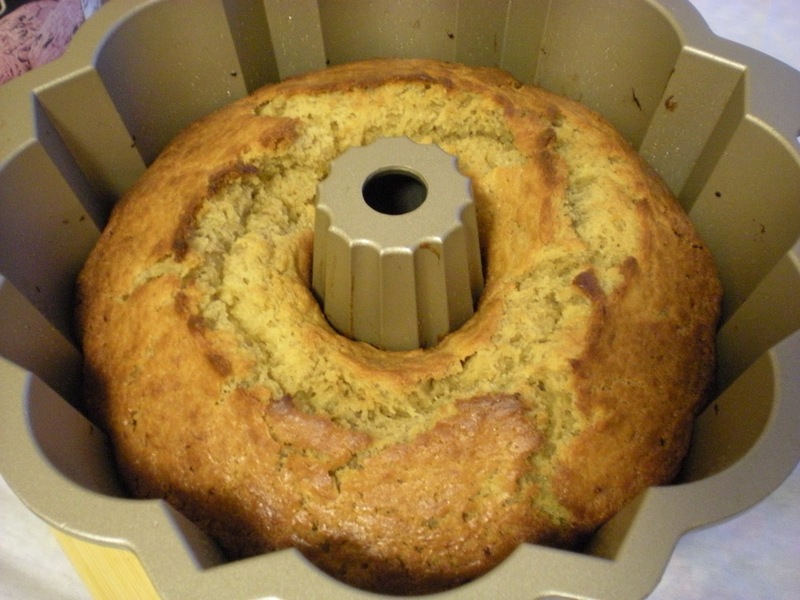 The flavor improves if the cake is left overnight. 1. Preheat oven to 350F. 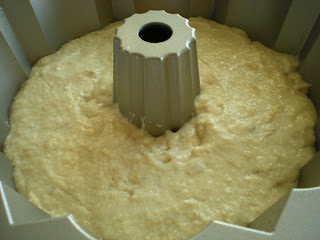 Grease a bundt cake mold. 2. Using an electric mixer at medium speed, beat butter and brown sugar until smooth. 3. Add in one egg at a time. Mix well after each addition. 4. Beat in mashed bananas, vanilla and rum. 5. 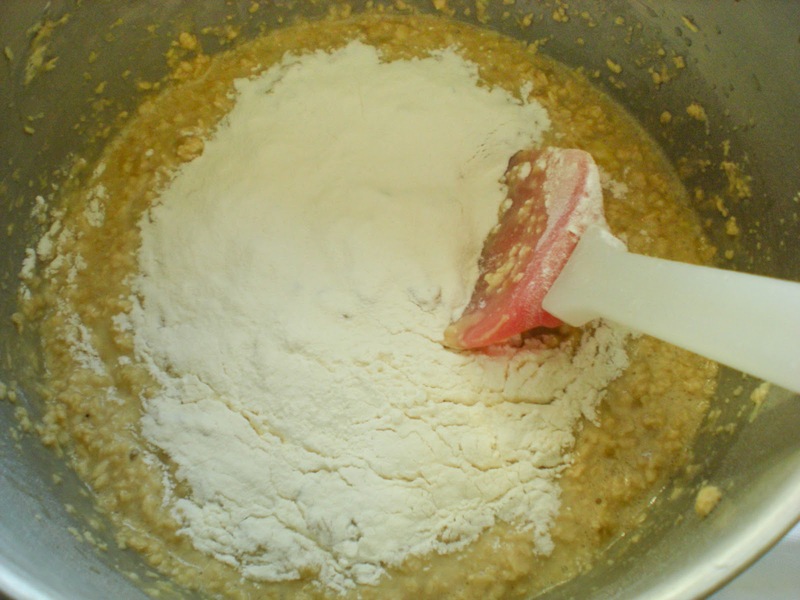 Sift flour, baking soda, baking powder and salt. Gradually fold the dry ingredients into the batter with a rubber spatula. 6. Fold in the yoghurt into the batter. 7. 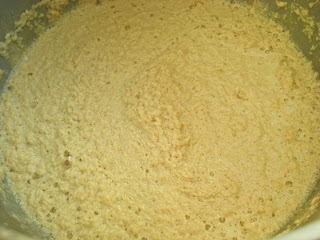 Transfer batter to greased pan. 8. Bake for 60 mins or until it passes the toothpick test. 9. Cool for 15 mins, flip the cake out onto a large plate. Serve. oh my this is seriously addictive! looks so moist! yum! Rum does add nice flavor to things, doesn't it? Your cake looks delicious, and I agree with J3ss about how moist it does indeed look! It looks so perfect. Great job! Wow, that is one perfect looking cake. I love rum in my cake, sure this one taste great. I would like to try this one. This looks delicious, Victor! I love banana breads and cakes and the addition of rum must taste wonderful. How absolutely delectable! I love the combo of rum and banana! It looks so moist and delicious. The cake is so perfectly baked. The texture is still so good with the substitution of cream with low fat yogurt. nice, very nice. must try out the recipe. I love the changes you made to the original recipe. Really? How many of us have banana liqueur? And you know I love baking with booze. Kudos. Looks totally moist! I love banana cake, this sound delicious. Wish you and your family a Happy Lunar New Year, Gong Xi Fa Cai! I made a rum and banana cake-pudding recently that had the same volume of rum in it. I wish my rum came from Cuba! The recipe I used was from the Guadeloupe. 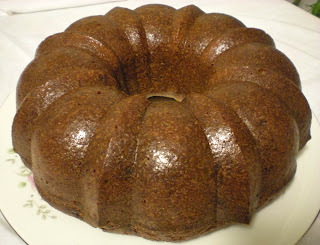 I love rum and banana cakes and I will try this version soon. oh my gosh, I want to make this right now! This sounds so amazing, and I'm trying to find uses for all the bananas I have sitting in my freezer - this would be perfect! I have heard that this type of cake gets better as it ages, but I reckon yours did not lasted very long, it looks delicious. 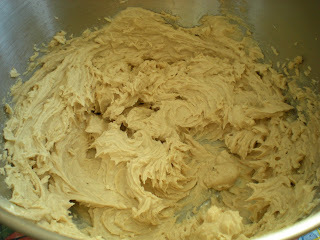 Next time you bake another one please remember me. Ooo very simliar to my chocolate one! Thanks for visiting! I'll have to try this banana rum version!